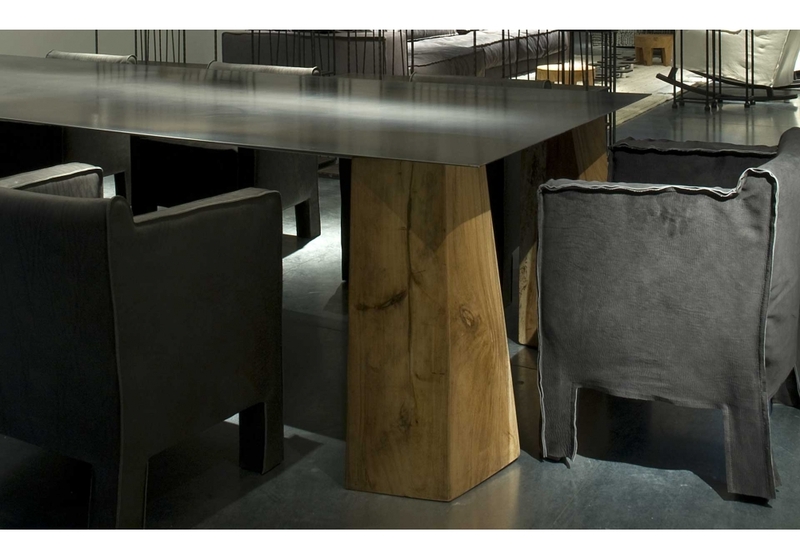 Benao designed by Paola Navone for Baxter is a table with legs with an irregular pyramid shape in solid cedar with waxed finish. Structure in coated tubular metal. 3 mm black sheet metal top, antioxidant protection with transparent matte oven-dried oil and waxed finish.